I have to admit that when I first saw this book, I kind of went, “Huh.” I don’t get it. There’s not much about the cover that says “READ ME!” and the idea of the story: girl’s parents get kidnapped by foxes, she hires two bunnies to find them. It just comes off as weird. 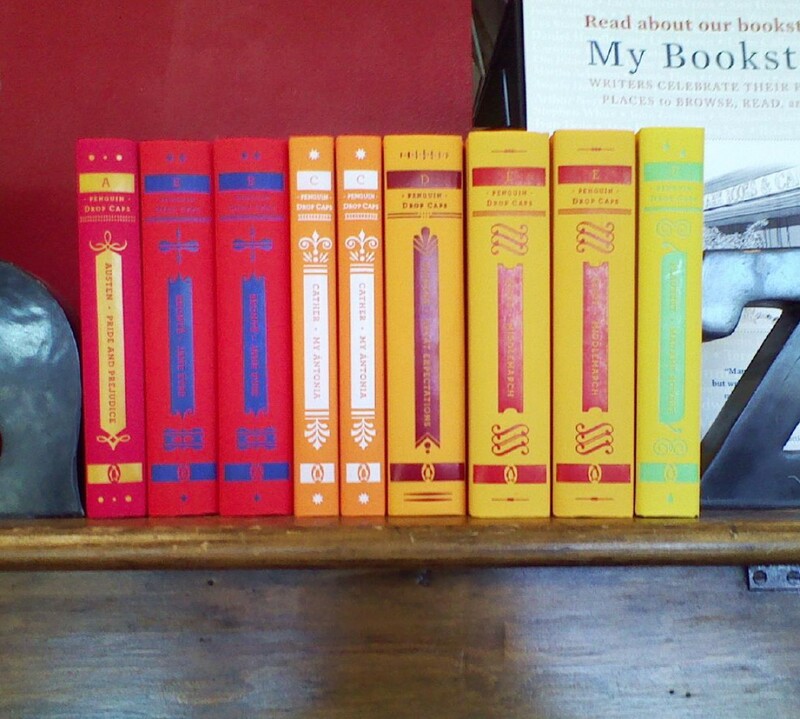 But, Confessions of a Bibliovore and one other (I swear! I don’t know where, though) said the magic words: slapstick and hilarious. And so, I picked it up. Did you ever see those Thin Man movies? The ones that are just one implausible, silly situation right after the other? If so, then you have a good idea about the feel of this book. Yes, Madeline is a girl whose silly, hippy parents (aren’t all hippy parents silly?) (“Madeline lived there with her parents, Flo and Mildred, for so they asked to be called by everyone, including Madeline, even though their names were Harry and Denise.”), manage to get kidnapped (parent-napped?) by a group of foxes (including the Grand Poobah) in order to get the address of Uncle Runyon who happens to be the best (well, not the best, but the most available) decoder on the islands off of Vancouver. (Bonus points for being Canadian, here.). Except Flo and Mildred (being hippies, and not caring about reality) have no idea. They leave those things up to Madeline. So, parentless, responsible Madeline decides to go searching for her parents. 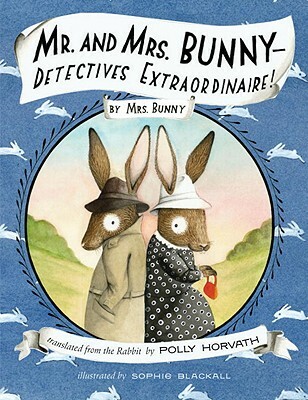 And somehow she kind of stumbles into acquiring the help of one Mr. and Mrs. Bunny, who have lately decided (because the fedoras are so smashing) to become detectives. Because it just gets more zany (yes, that is the best word) from here: absurd neighbors, twelve-inch purple glitter platform shoes, The Marmot in disguise, being called before the Bunny Council, white shoes made of dental floss and the old rubber factory all come into play. Eventually, sure, Madeline’s parents do get found (much to the Bunnys’ disappointment; they were hoping to keep Madeline as a pet), and all is happily-ever-after. Or maybe it should be ridiculously funny ever after. Great for those with an absurd sense of humor. I do hope that eventually kids will pick this up and love it for it’s oddness. i was planning on picking this up for the illustrator alone (adore her) but now I am even more motivated by your review of the actual story antics!